This is a popular tourist destination that is widely known as one of the most frequently visited places in Europe. 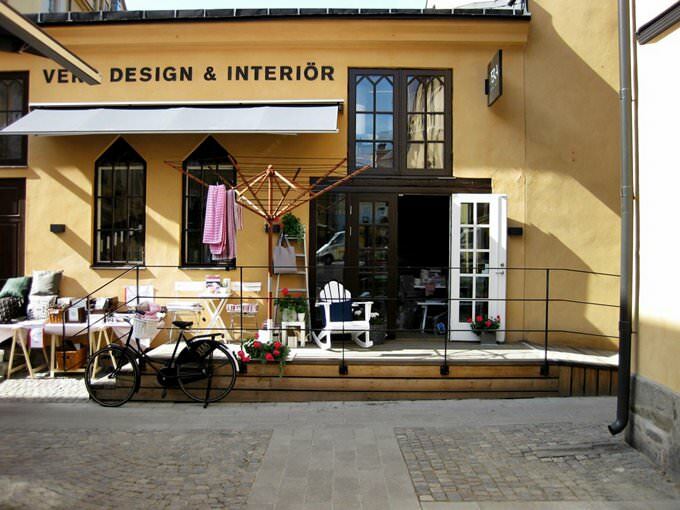 In Sweden it’s possible to find landmark to fit any taste. The city of Goteborg is famous for its magnificent botanic garden. It was founded in 1910 and currently occupies the space of 175 hectares. Bamboo groves, Japanese stone gardens, greenhouses and arboretums, and a breath-taking collection of orchids – the garden is very diverse and tremendously beautiful. Trees brought from Easter Island are considered the most precious item in the garden. These are the only surviving trees as they cannot be found in wild nature anymore. The oldest church in Laplandia, Jukkasjärvi, is located not far away from Kiruna. The wooden building was constructed yet in 1608. A hundred years later the church was reconstructed. After that the church got a new altar, and in the end of the eighteenth century an organ was installed there. The church is an important historic landmark, and its inner design is no less precious as it was made by famous Swedish masters. Sweden cultural sights. What to see? 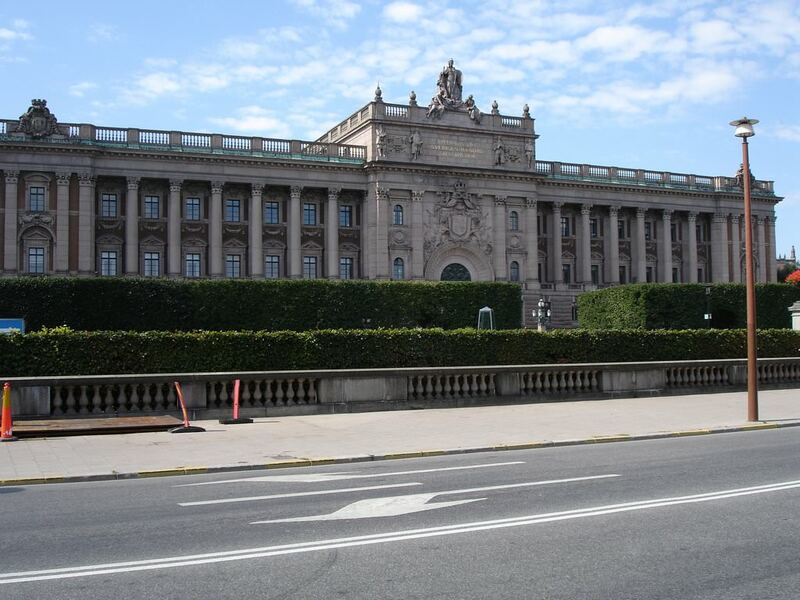 The Royal Palace is an everlasting symbol of Stockholm. Until the middle of the 18th century, an ancient fortress stood on the site of the modern palace. The Fortress was completely destroyed by fire, and a beautiful palace was built instead of it thanks to efforts of famous architect Nicodemus Tessin. The palace consists of 600 rooms, a half of which is open to visitors. One can see here beautiful tapestries, old furniture, collections of jewelry and weapons. 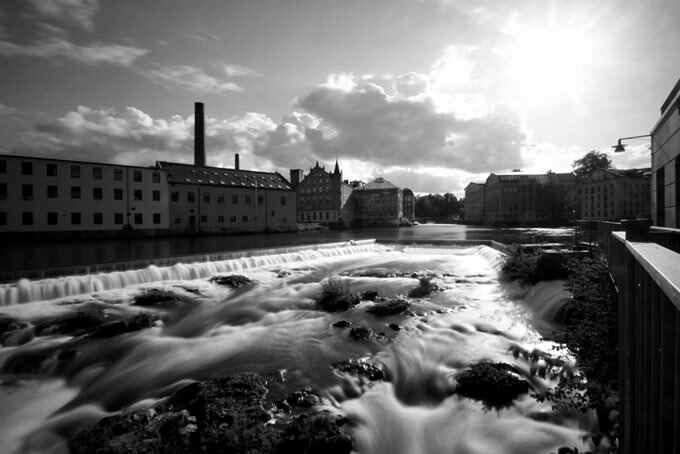 Many interesting places can be found in Halmstad suburbs. Excursions to Harplinge windmill are traditionally very popular with travelers. It's truly amazing that the old windmill is still working. During an excursion visitors will learn the mechanism of work of the windmill and will be able to take memorable photos. There is a cozy small restaurant near the windmill, where guests can take some rest and continue observation of that beautiful region. It is difficult to imagine that there were glaciers on the Swedish territory thousand years ago. This territory was populated only when glaciers had been melted. The main means of subsistence of the first settlers were hunting and gathering. In the 14th century, on the territory of the present country, there was a large kingdom that flourished in the 17th century. 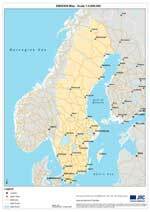 During this period, Sweden was one of the largest and most powerful European countries. The first-class army was one of the secrets of its success. The 19th century was characterized by an eventful and active industrialization. As industrial enterprises had been developing in the country, railways started to be actively built. Despite the active industrial development lasting for over a hundred years, Sweden has managed to preserve its agricultural traditions. At present, the farming is one of the outstanding peculiarities of the country. Exactly thanks to the farming, such direction, as agrotourism, has developed in the country. Many farms are open for visitors. Their guests are offered to acquaint with features of country life, care for pets and take part in producing farm products. The latter is a real pride for Sweden. Over several hundred years, local farmers produce exquisite cheeses and meat delicacies and grow environmentally safe fruit and vegetables. The country is also notable for its upscale ski resorts. One of the most popular ones is Are. There are excellent conditions for family recreation. Besides skiing, vacationers can try a lot of interesting winter entertainments. During the year, a lot of interesting holidays are celebrated in Sweden. In Stockholm, the garden fair called the Northern Gardens annually takes place in April. It is the largest fair of its kind in Northern Europe. It will be interesting not only for experienced gardeners, but also ordinary tourists. In May, local residents organize the Salmon Festival holding interesting food entertainments and competitions. Those who are interested in history should visit Sweden in August. At that time in Gotland, the Medieval Week – a themed festival dedicated to medieval culture and history – is held. This article about iconic landmarks and sights of Sweden is protected by the copyright law. You can re-use the content, but only under the condition of placement of an active link to www.orangesmile.com. 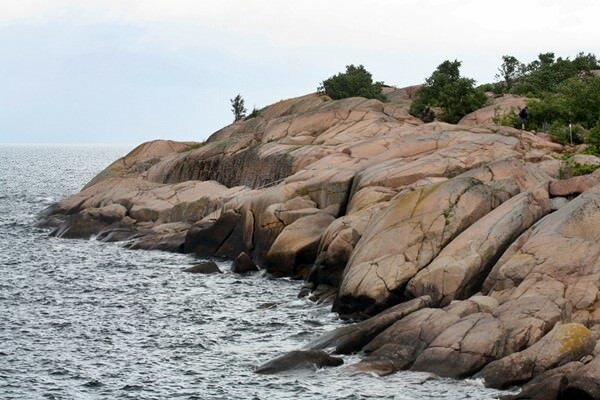 Bla Jungfrun island is located in the Kalmarsund, Sweden. A lot of scary stories are connected with this island. According to one, the witches came here for Black Sabbath over a number of years ago. Once the witches were killed and now their shadows live on this island, that’s why locals don’t dare to walk on this island. However, the researchers like to come here, something unusual attracts them. There were found several caves of the Stone Age. All were used for rituals. Artefacts, that were found there, said that more than 9 thousand years ago there were made oblations. Archaeological researchers on the Bla Jungfrun island were realized only in 2014. The archaeologists have found something like the ancient altar and a number of animal carcasses, mostly of sea-calves. In Sweden, on the territory of resort Jukkasjärvi, the most known Icehotel is located. The "Absolut Icebar" is a part of this complex. The whole building is made of the ice blocks. They are taken from the nearby rivers. The usual temperature in the building is 4 degrees below zero. At this temperature the ice blocks don't melt. 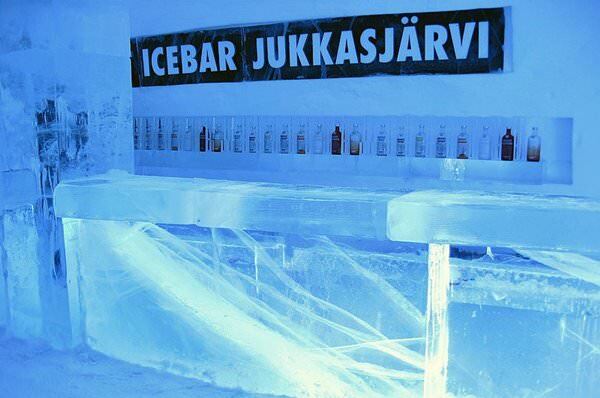 The bar counter, chairs and even glasses for cocktails are made from ice. The illumination makes this bar as outstanding as it possible. In Sweden, locals also have their own unique national delicacy called surstromming. That’s a fermented herring that is usually canned. 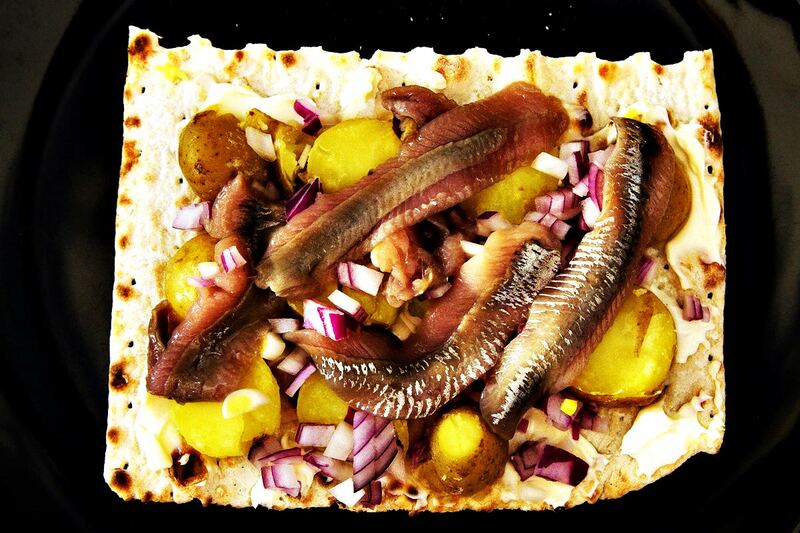 Herring slices in marinade look quite appetizing, as well as meals cooked of it. The main feature of the daunting delicacy is a suffocating smell of rot. As a tin-opener pierces the lid of a can, an awkward odor spreads around.